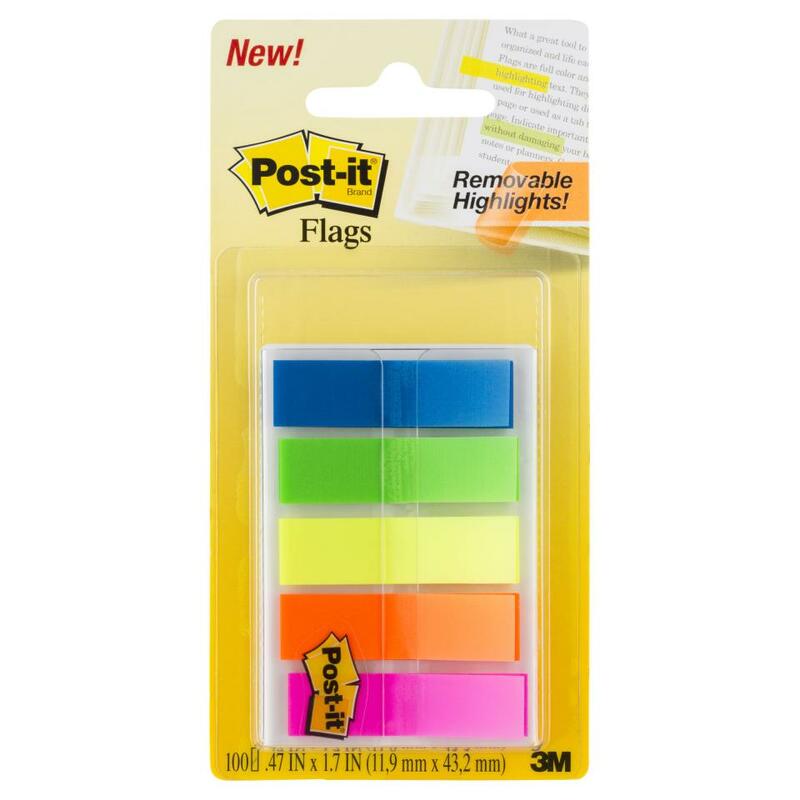 Post-it® Flags in Assorted Brights and 11.9mm wide size are a tool that makes it simple to mark, flag or highlight important information. They are safe to use on almost all documents. Contains 100/on-the-go dispenser.